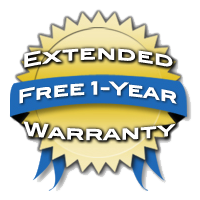 Purchase this instrument and receive a free 1-year extended warranty that starts at the expiration of the factory warranty! This saxophone is also available with a silver-plated finish. The New 62 YAS-62III comes with Yamaha’s popular AS4C alto saxophone mouthpiece. As with all new Yamaha Band Instruments, the YAS-62III includes Yamaha’s unbeatable 5-Year Factory Warranty. Yamaha’s YAS-62III saxophone has redesigned its neck to provide greater ease of playability and better control. The slightly narrower bore provides a faster response, and this neck style also allows an optimally comfortable airflow so that every player can attain a solid tonal core. More elaborate an with finer detail, the new hand-engraved bell design offers delicate, decorative beauty. The result is a distinctly custom-level look. An improved mechanism from low B to C# ensures a proper seal for these notes, thereby promoting a clear, clean response throughout the low range of the instrument. The New 62 has an updated E-style case design, preferred my many professional and student saxophonists. This semi-hard case offers a contemporary look and ideal ease of transport. An adjustable Front F mechanism gives players the freedom to find the optimal level of resistance in the altissimo range. Other notable features include polyester key buttons and an adjustable thumb hook. The sound difference is incredible! Bought this Sax during Yamaha's "Step up" rebate for my daughter. Her first Sax was a great beginner (and who wants to buy a $3K horn for a beginner)- but this Sax- OMG!!! The sound is very rich and deep, she rarely "squeaks" anymore, she says it is easier to control her volume, even her confidence is way up. Her Band Director's comment her first day with it was "NICE!". Very happy with this Saxophone!